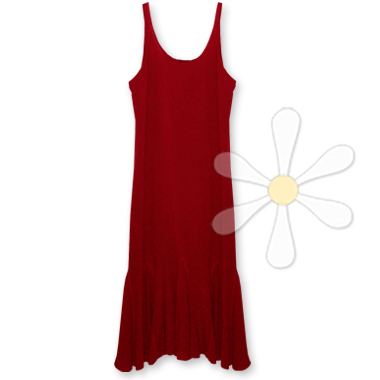 The elegant yet oh-so-comfortable dress to kick up your heels in! It flows straight down to many gussets, which spreads to 180" at the hemline. Talk about S-W-I-N-G! It's the perfect dress any time, day or night, and layered with any of our Moroccan jackets can be worn any time of year.